Your spouse doesn't have to get half the account if other assets make up for it. 2. What Happens to My Ex-Husband's QDRO Pension if I Remarry? Divorce is one of the times you can access your IRA or 401(k) before retirement and pay no tax. This happens if the judge assigns part of your account to your spouse in the divorce settlement. In that case you can tap the account tax-free in order to comply with the divorce order. You spouse may receive some, all or none of your retirement account, depending on your situation. 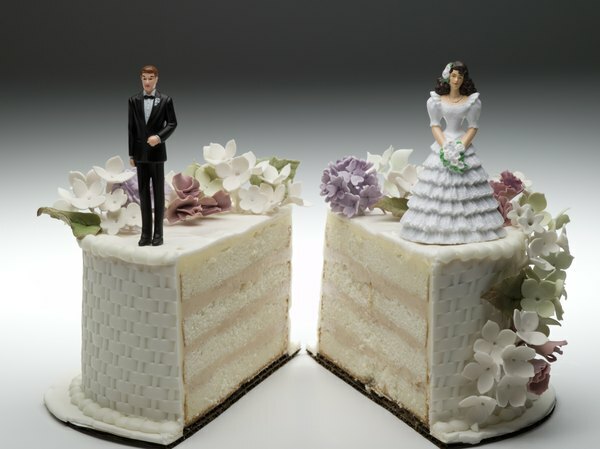 How much, if any, of your retirement plan goes to your spouse during a divorce depends on your state's laws, and whether or not you have a prenuptial agreement in place. Unless you have a prenup that says the account is all yours, your spouse probably has at least some claim on it. If you started the account after you married, it's marital property. If you married after opening the account, but contributed money to the account during the marriage, at least some of the assets are marital property. The court decides how to divide the pension based on how much of the pension was earned during the course of the marriage. This figure is the marital portion, and is what the court divides. In a community property state, she's entitled to a 50 percent split of marital assets. In common-law states, the split doesn't have to be equal, but it does have to be fair. You don't have to divide up every marital asset right down the line. If you have, say, a $200,000 house and a $200,000 IRA, you and your spouse could split both assets 50 percent each or you could keep the house and he could get the retirement account. In any given case, it depends on what the two of you think is fair and how the judge applies state and – for 401(k)s and workplace accounts – federal law. Even if you, your spouse and the judge agree on what's fair, you still have to translate your agreement into a divorce order. That's harder than you might think, which is why many people hire attorneys even for amicable divorces when retirement plans are involved. Suppose you agree that your spouse gets half of your $150,000 IRA but the divorce order says he gets $75,000. If the market crashes and your account is only worth $100,000, suddenly your spouse is getting 75 percent. Vague statements about "dividing retirement benefits in half" are even worse. If you receive a pension plan, your spouse may be entitled to share that too. The rules for dividing it up vary, depending on whether you're getting it from a private employer, the federal government, the military, or a state or local government. Government and military pensions, for instance, come with ground rules with regard to how long the two of you have to be married in order for your spouse to make a claim. It can be difficult to value and divide a pension, and dividing a pension typically requires a document known as a QDRO – a qualified domestic relations order – specifying who will receive what and when. The document has to be worded precisely, and most people therefore hire a professional for this task. You have to follow the law exactly when you divide up the account. With an IRA, for example, you can roll your money into your spouse's IRA without paying tax on the withdrawal. If you simply write him a check, the IRS treats it as a regular withdrawal. If you're younger than 59 1/2, that would trigger income tax and a 10 percent tax penalty on the withdrawal – and your spouse isn't obligated to pay any of the tax. Holcomb Law,P.C. : Can My Spouse Claim Retirement Benefits in a Divorce? Investopedia: Which States Are Community Property States? Can a QDRO Be Enforced on an IRA?